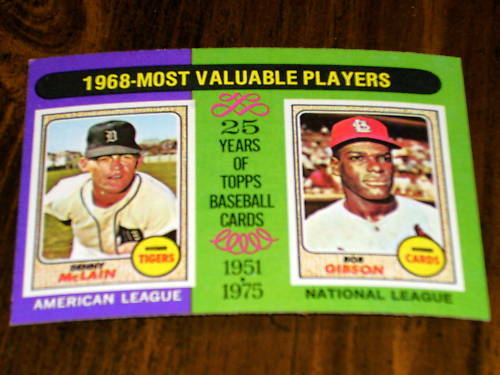 1975 Topps MVPs subset card #206 featuring pitchers Bob Gibson and Denny McLain. About Ex condition. ONLY ONE AVAILABLE FOR SALE.